Duara contact persons are a diverse group of people. They have something in common though. All of them need to speak good English and have reliable access to internet. In addition they are motivated to help their local community and act as a liason for the travelers. Duara contacts are there to answer travellers to their questions regarding their booking, helping them organize their transportation to the village and introducing them to the host families. They make sure families are prepared to host travellers and that everything goes smoothly. 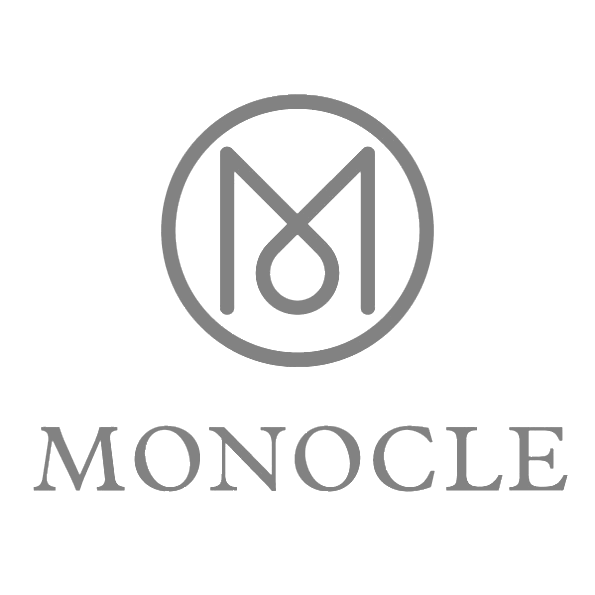 Duara travellers can also rely on them for translations and help in case of emergency. The are key persons in making each homestay a success. Let us introduce some of them to you. Many of our contact persons are young people. 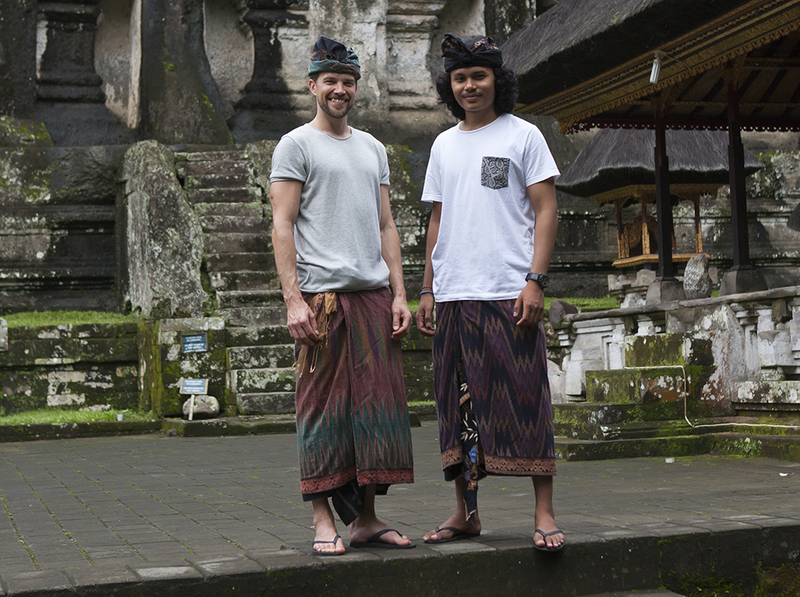 Agus from Sebatu, Indonesia has been working in tourism, which is common on Bali. For him as young person, it was easier to find a way to benefit from the tourist scene on Bali. But he was keen to find a way, how he could help also his family. 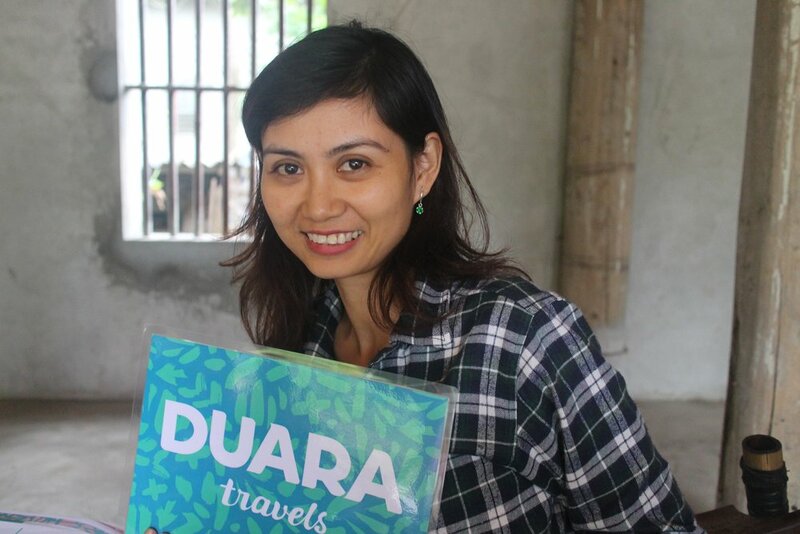 Now one of his relatives hosts Duara travellers and Agus works as the contact person for Duara. Aisha in Tanzania has been working as a Duara contact for two years now in Kizimkazi and Jambiani villages. After studying marketing and IT and before finding Duara, she used to do small business like selling women’s handbags and clothes. A few months after she started working for Duara she got also a second job in the Zanzibar travel industry. Both of these sources of income now have helped her to start taxi business in Zanzibar. She's also dreaming of starting a ladies clothing store. Another trend we can see in those people, who chose to act as our contact persons is people, who have moved back to the countryside and want to act as a link between their village and outside world. Duang from Thailand is older than Aisha and Agus. He used to have a busy life in the city, even fame. 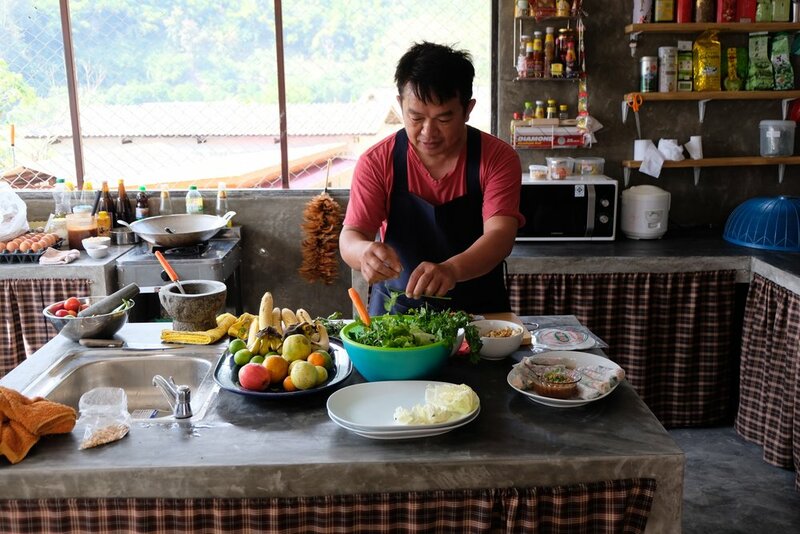 Duang used to be a vegetarian chef with his own restaurant and a TV show. He had taken part in publishing many cook books. But sometimes a change is needed. 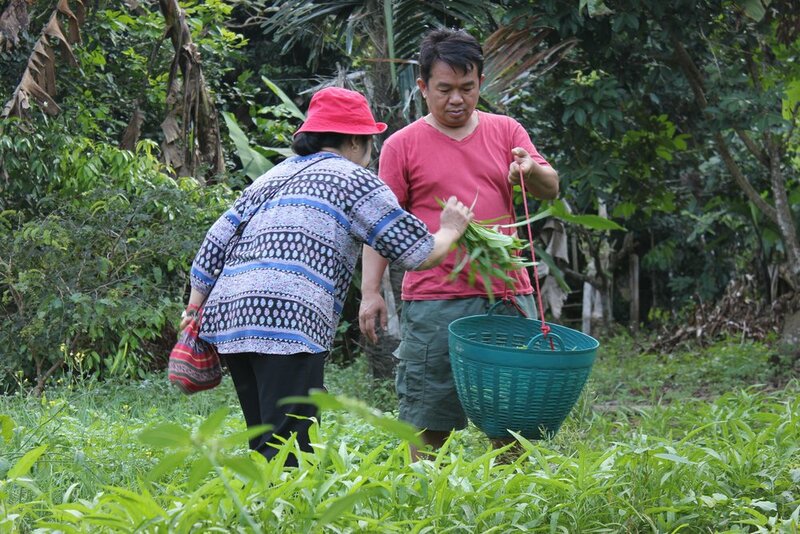 “I wanted to escape the busy city life and moved to the peaceful surroundings of Tung Lakorn to cook for the monk in the temple.” Duang is now happy in his village Tuang Lakorn and very keen on developing the area. Anil from Neluwa of Sri Lanka has studied in UK. He is working as an English teacher in a local middle school and likes to take Duara travelers to chat with his students so they can practice their English skills. Anil can easily adapt to Western travellers’ mindset, which makes it easy for him to act as a link between the travellers and the host families. He has also invested some funds into real estate and wants to see his community develop in a sustainable manner. Anil is the link to the local savings group, where the villagers save money together in weekly meetings to keep an emergency fund for the community. The capital is spent to help victims of natural disasters, illness or poor luck. And then there are some, who have left to the city, but have one foot forever in the country side. Vietnamese Aline lives with her little daughter in Hanoi and works in a travel agency. But her family is in the village of Huong Non. 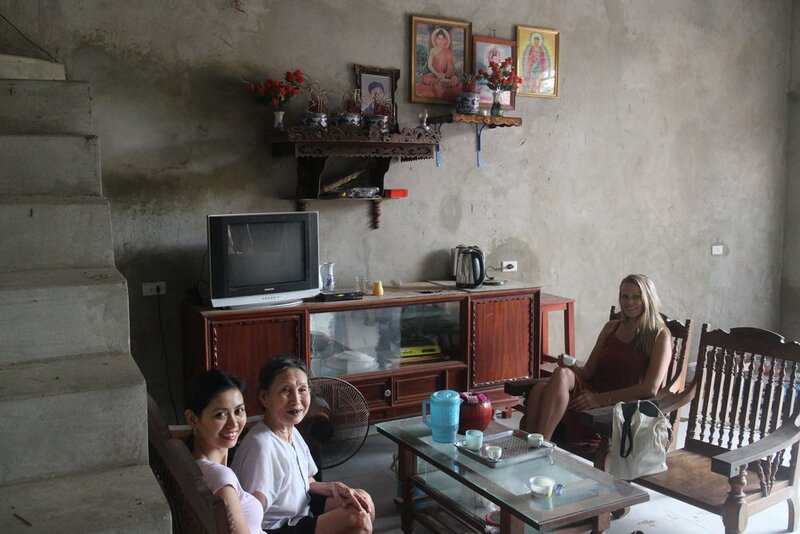 Both of her grand mothers are hosting Duara travelers and Aline acts as the contact person. She and her grandmas are very proud to introduce their village and country to travelers from all over the world. Text Saara Nokelainen. Photos by Duara.